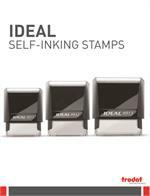 Enhance your stamp sales by utilizing these highly visible promotional tools! Everybody knows the importance of "getting the word out" to potential customers. Use these items in your display windows, on your counters, on the walls or any other high traffic areas. Many items can be distributed to customers in person or by mail.Getting your message out quickly through a clever visual medium will leave a lasting impression in the mind of the buyer, whether they need to order stamps now or at some time in the future. These FREE or low cost items will quickly result in an increased volume of stamp orders. Assist your resellers by providing or sharing part of the cost (if any). Attract the Stamp Buyer's Eye as they Scan your Store!